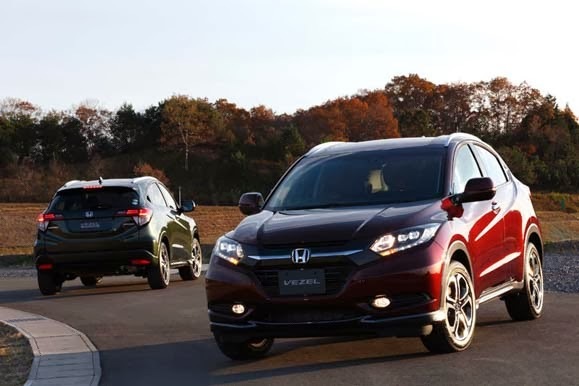 In the year 2014 coming, Honda Vezel has been confirmed will be rolled into the American market, while the European market will be slide in 2015. SUV based Jazz is conceptualized for the global market. It's just for the Asian market to date has not been announced his time. "Vezel will soon enter the global market after it goes on sale to the domestic market. In general, there is no change in the Japanese version it's just that there are some things that will be adapted to local conditions,"
Honda Vezel will be produced with two engine options, namely gasoline 1.5-Liter direct injection and a hybrid, including the Sport Hybrid i-DCD (Intelligent Dual Clutch Drive). Both engines are claimed fuel-efficient these same as that supplied to the All-new Honda Jazz.